Hailing from an island of gemstones, the Siren of Serendip is one of the world’s largest blue sapphires. Considered one of the top five sapphires in the world, the Siren of Serendip weighs a phenomenal 422.66 carats and was discovered almost a century ago on the island of Ceylon (now Sri Lanka). When found, the original rough crystal weighed 2,670 carats before it was cut and polished. The Siren of the Serendip has been on temporary display since March 3rd, now it’s moving to our Cullen Hall of Gems and Minerals for public viewing. 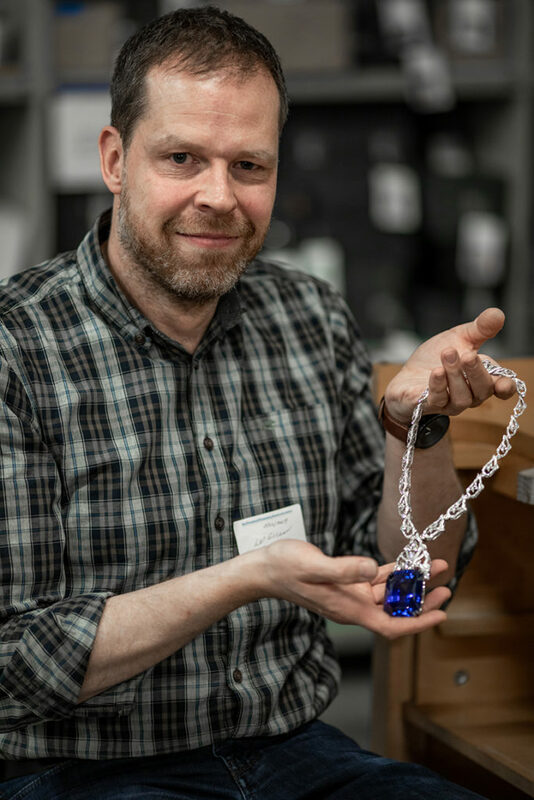 Ingo Henn, of Henn of London, Holding the completed setting with sapphire. A glorious gem deserves a glorious setting. 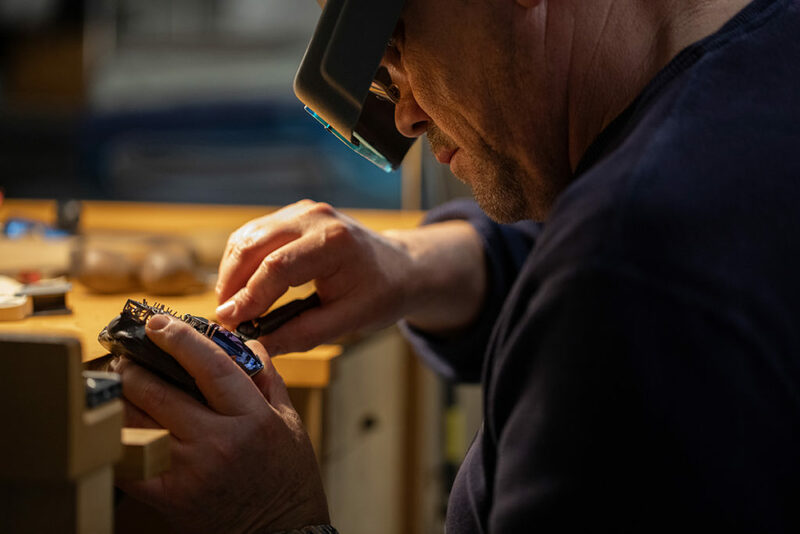 Master jeweler Ingo Henn of London and Idar-Oberstein, Germany was commissioned to design a jewelry piece for the Siren of Serendip. 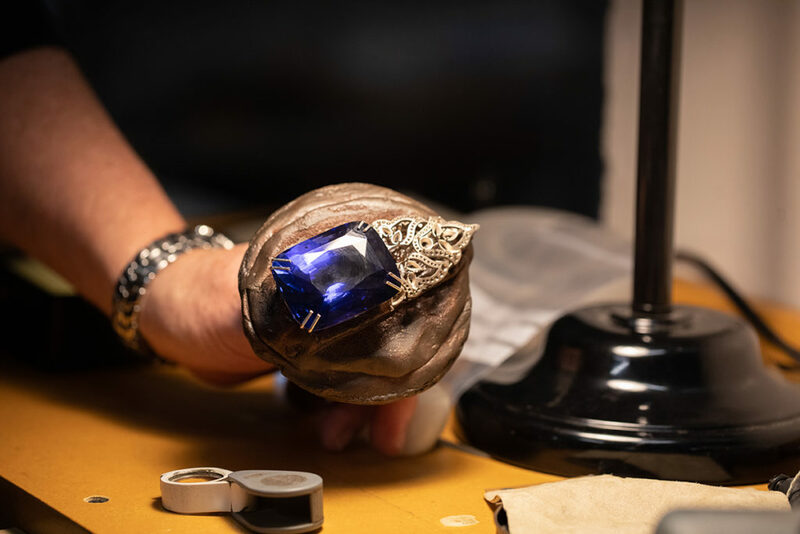 Designing the perfect piece to showcase this sapphire was a thoughtful process. Henn presented HMNS president & CEO, and curator of gems and minerals Joel Bartsch with three designs to choose from, narrowed down from over 20 ideas. A white gold and platinum necklace was chosen to showcase the blue color of the Siren of the Serendip. 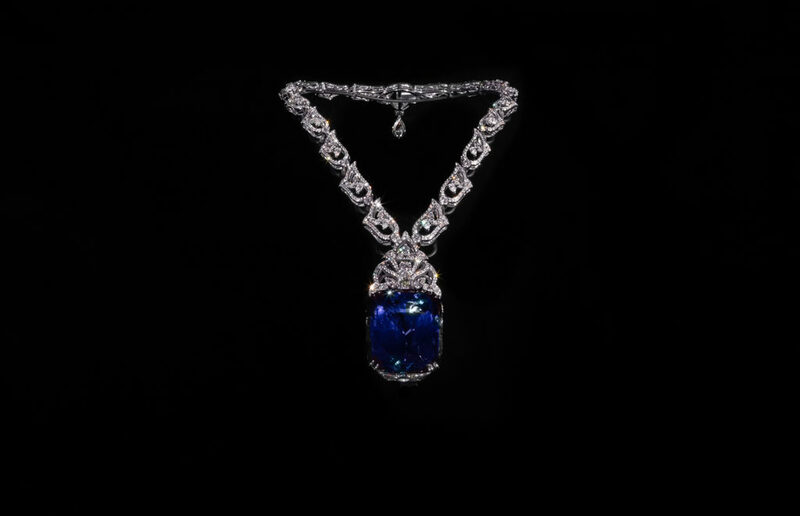 The sapphire is the focal point of the piece, but the necklace also includes 913 diamonds, totaling 36.30 carats. Henn is no stranger to the museum. The Henn family has a long history of consulting with HMNS curators on some of the pieces in the museum’s gem and mineral collection. Just over 10 years ago, Ingo Henn designed a peridot jewelry suite (comprised of a necklace, earrings and ring) that is still displayed in HMNS’s Lester & Sue Smith Gem Vault. The gemstone’s name refers in part to the sirens of Greek mythology, whose irresistible—yet unattainable—beauty captivated all who beheld them. Meanwhile, the second half of its name refers to the ancient Persian word for Ceylon, Serendip, and also serves as a nod to the serendipity the museum feels at having the opportunity to own this stunning piece. 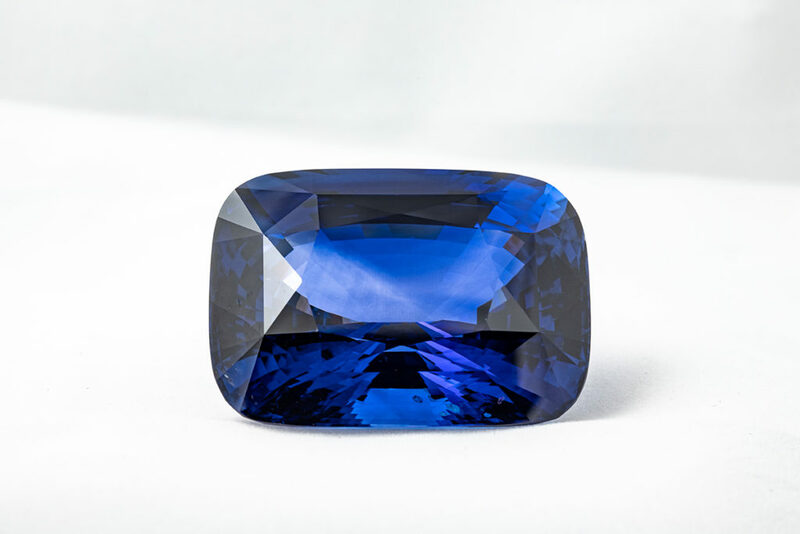 Ceylon sapphires are world renowned for their size, color and abundance. Sri Lankan mines hold the record for the largest fine quality faceted blue sapphires in the world. The country boasts the highest density of gem deposits, with gem-bearing Pre-Cambrian rock composing 90 percent of its landmass. The age of Sri Lanka’s geology contributes to the land’s richness in gem deposits. Jewelry aficionados and geology geeks alike will be in awe of this glistening gemstone and its stunning diamond setting. The Siren of Serendip is now on display at the Houston Museum of Natural Science—due to a little serendipity, and a large amount of generosity from multiple anonymous donors. For ticket prices or more information visit our website at www.hmns.org or call (713) 639-4629..